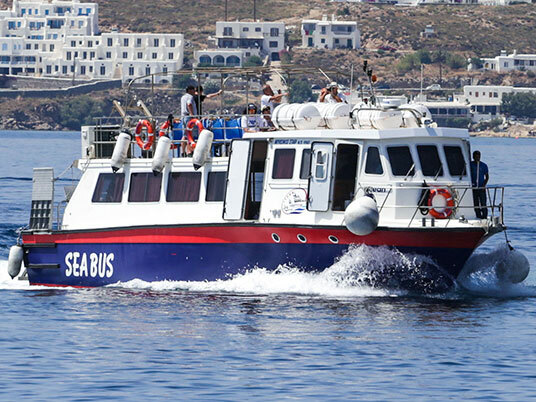 MYKONOS SEABUS - The best way to go! 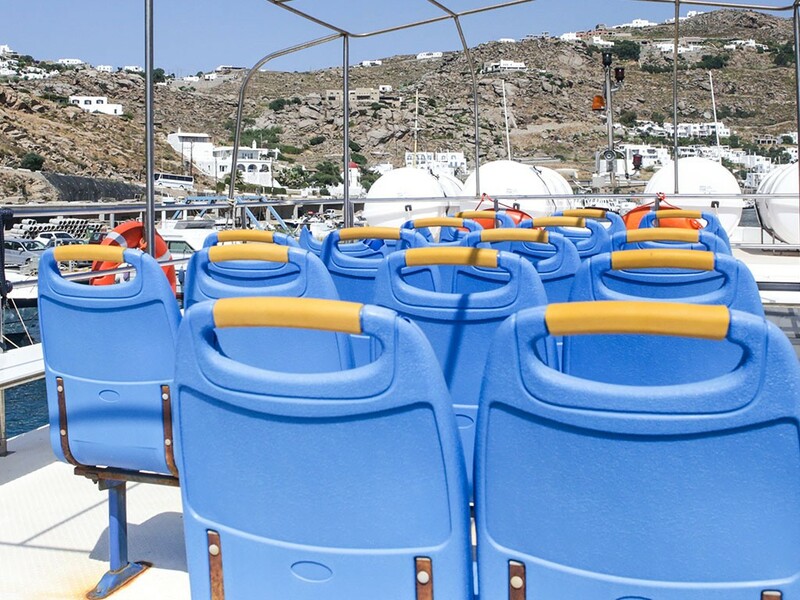 Exclusive access into the pedestrian-zone of the old town of Mykonos as there is no access to this part of town by bus, taxi or motorbike. The SeaBus runs every 30 minutes. 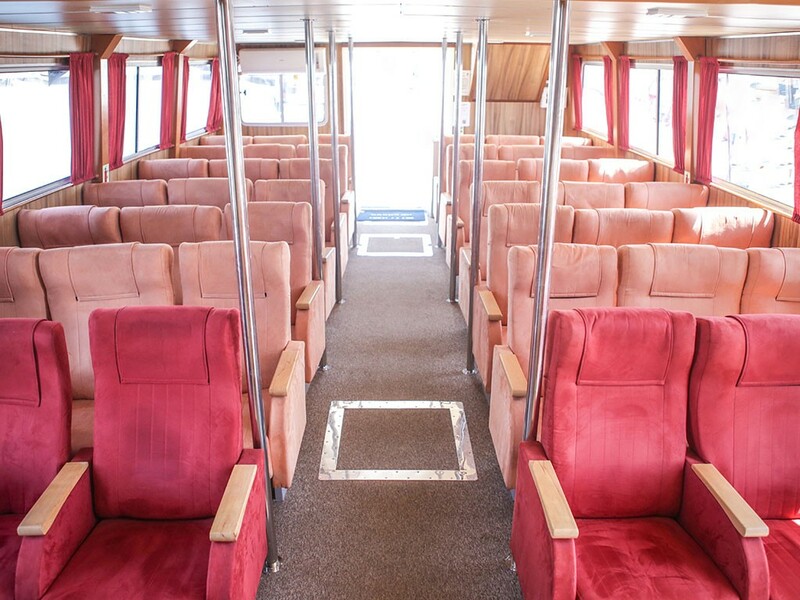 Enjoy the 8-minute trip, just enough time to marvel at the picturesque scenery. 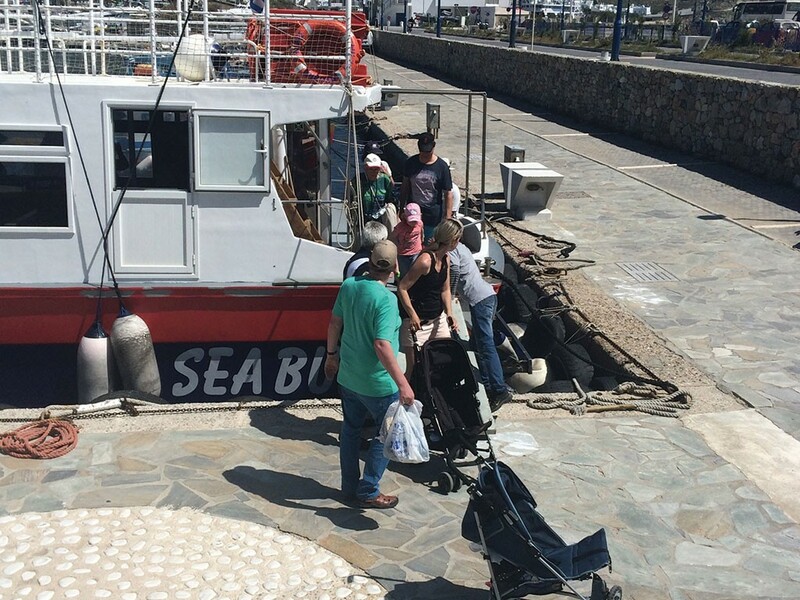 Luggage and Baby Strollers are carried on board easily. The SeaBus docks at KTEL Bus Station. 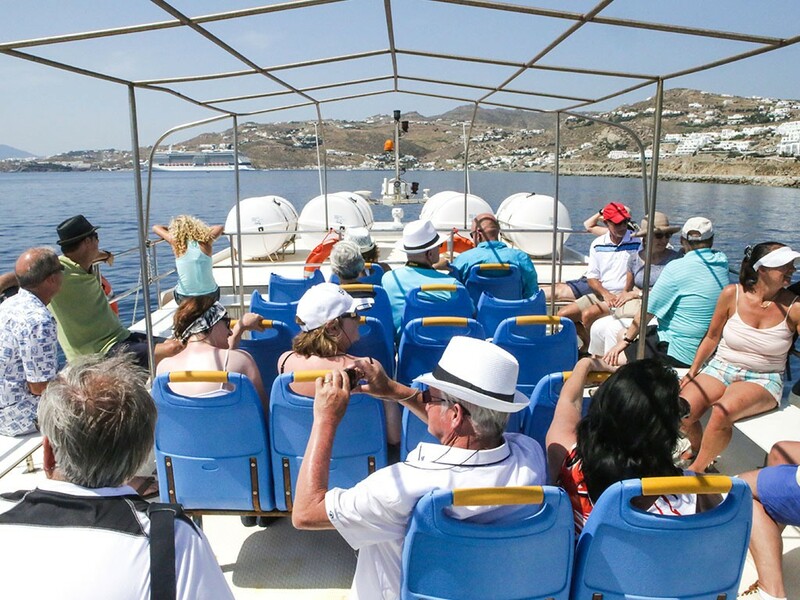 Public buses depart from here to the beaches of Panormos, Ano Mera, Elia, Kalafatis, Super Paradise and Paradise. 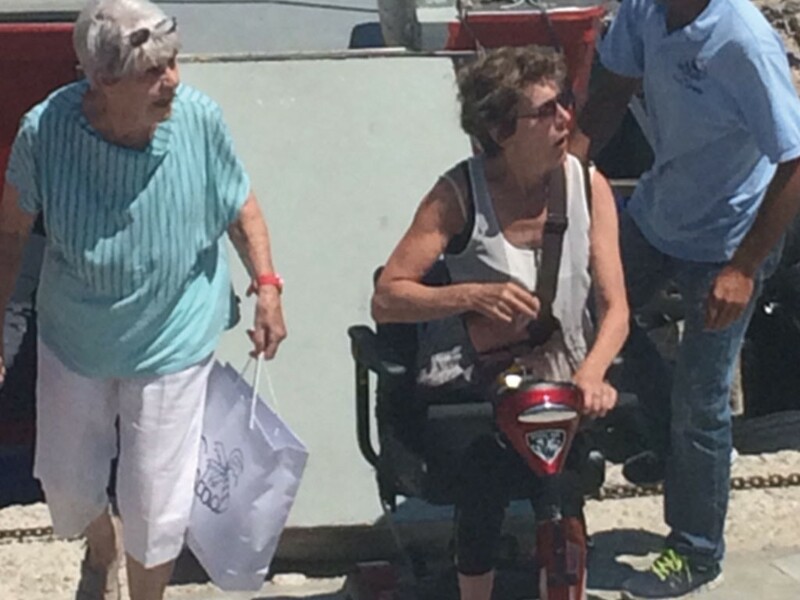 Wheelchairs can be used along the mainstreets and on the waterfront in the town of Mykonos. The majority of the sights in the center can be accessed by wheelchair easily. The SeaBus docks right beside where the boats depart to Delos. 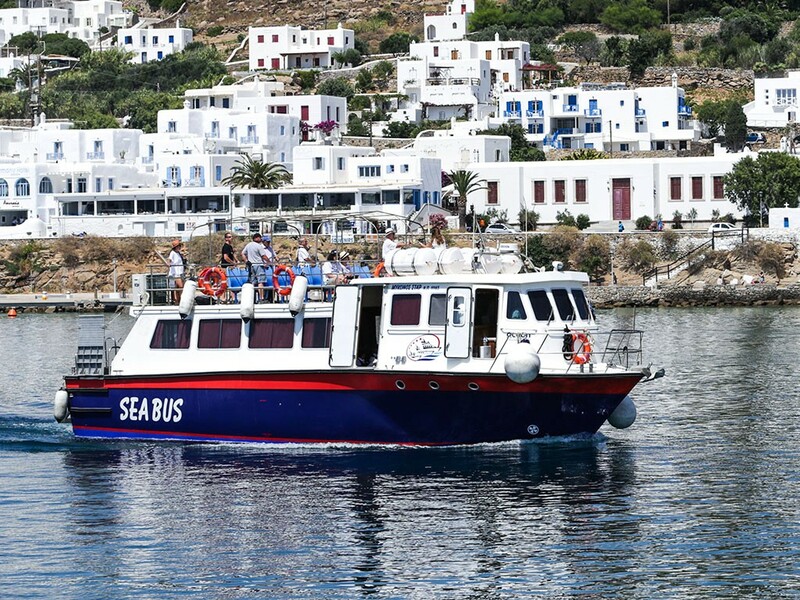 So you literally get off the SeaBus and get on the boat to Delos. 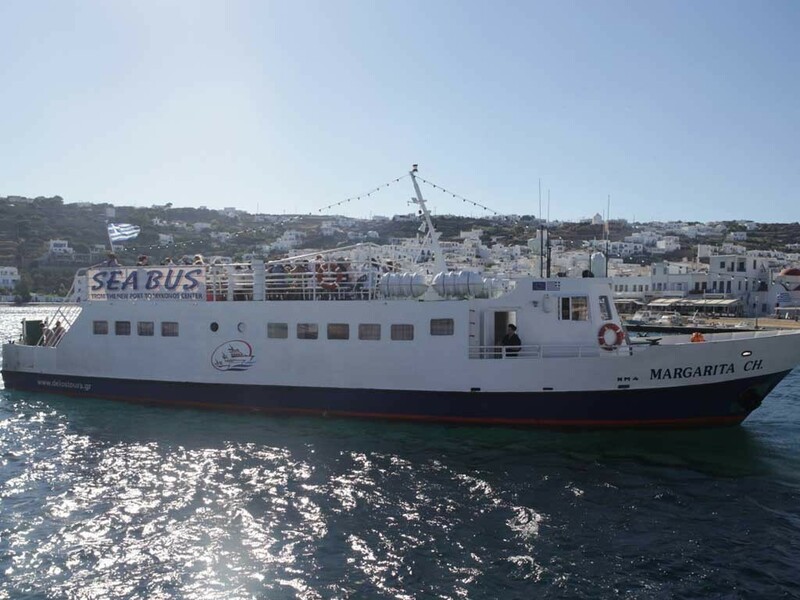 The “Mykonos SeaBus”, transportation service , leader in the local market, connects the two ports of Mykonos with it’s fleet, servicing the needs of the passengers. 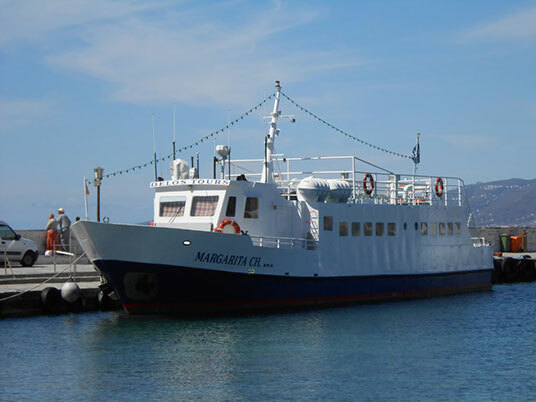 Our company offers fast and economical transfer from the New port (Tourlos) to the Old port (Chora) and vice versa. 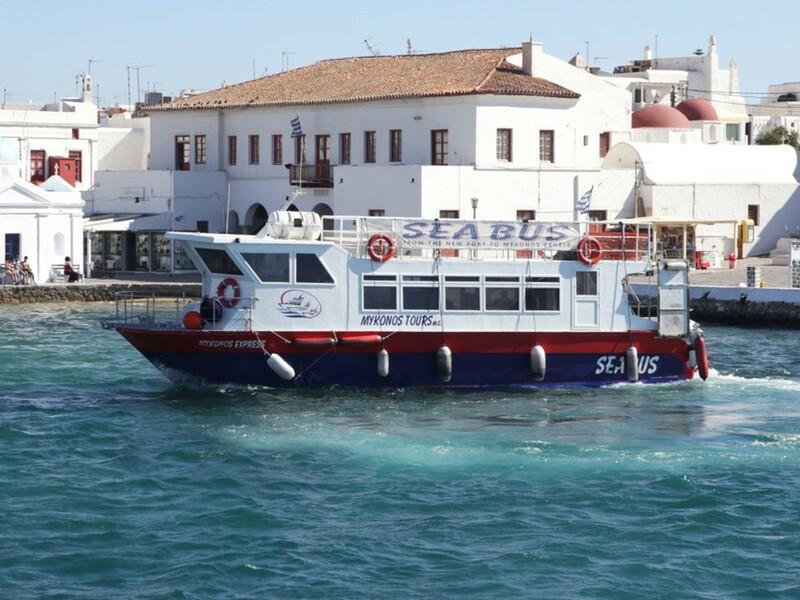 The SeaΒus is also available from the Town of Mykonos to the New Port of Tourlos and vice-versa for all the passengers going to or arriving from the other islands, or to ports of Piraeus & Rafina. 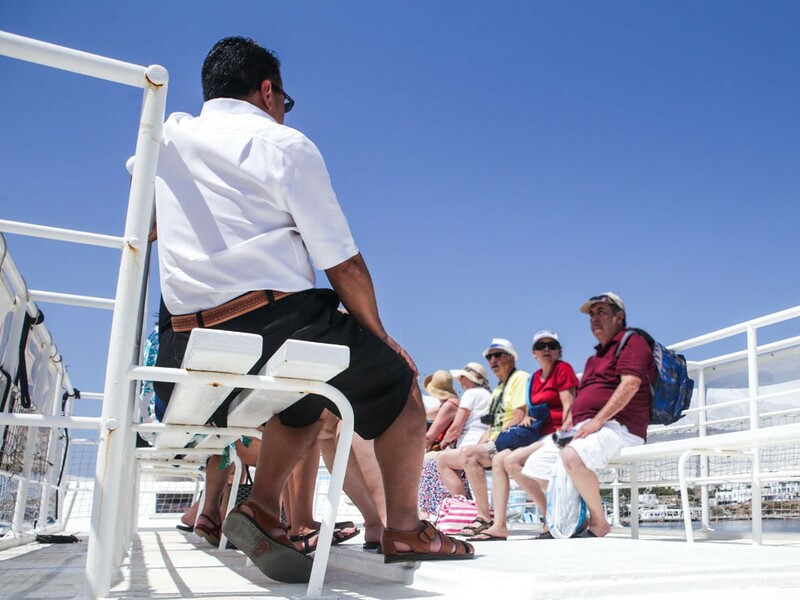 There is wheelchair access to the SeaBus and luggage can be catered for. 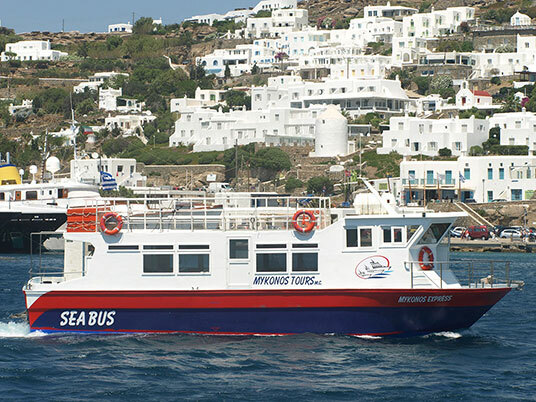 Hop on the SeaBus and travel in style and comfort, enjoy the unique view of picturesque Mykonos during the short trip, arriving in the center of the town without undue delay and unnecessary waiting.